Experts have estimated that 1 in 5 homes in Australia come under attack from termites at some point in time. Whether you are building a new home or own a new one, you must protect against termites and one effective termite protection solution is to install a termite reticulation system. What is a Termite Reticulation System? The pipe is placed at the base of the concrete slab, very close to the edge or even clipped on to the slab. The pipe is just under the finished ground level (FGL) or just below concrete or pavers, this allows for a perimeter treated zone. Termite Reticulation is a chemical resistant pressure pipe with emitter holes at regular spacings. The system is assembled using standard fittings generally clamps are not necessary as the system should be pumped at relatively low pressure. The pipe is flexible and strong and generally does not require “elbows” for bends, however “end stops”; “connector fittings” and “valve boxes” are essential. When a system is “charged” pesticide is pumped through the pipes at relatively low pressure, the pesticide is released from the pipe in a controlled manner and the surrounding soil absorbs the pesticide forming a barrier. With the changes in the Australian Standards, the reticulation System is an acceptable Part A and Part B treatment to Subfloor and slab. For more details call us on 1800 780 820 or email plans to info@besttermitescontrol.com.au. 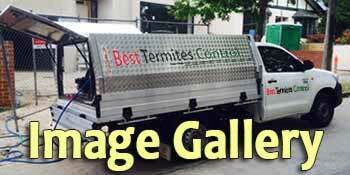 Please click here to see more images of Termite Reticulation Systems done by Best Termites Control in Melbourne. How Can a Termite Reticulation System Benefit You? Suitable for both pre and post construction and existing buildings and homes. A replenishable Termite Management System that is quickly and easily installed, pumped up and recharged at a later date by one of Best Termites Control professional technicians. The system is re-injected periodically (when required chemicals do break down over a period of time). A long-term, cost-effective alternative to other forms of Termite Management systems. Eliminates exposure and disruption to site contractors, or the homeowners or tenants when termiticides are applied or reapplied. When Best Termites Control installs a termite reticulation system in a new building or home construction site, its termite protection technicians lay the pipes across the entire area prior to the pouring of the foundation slab. Typically, vulnerable points of entry in a home are plumbing areas or downpipes, and technicians take extra care and surround that area. After a concrete slab has been poured in preparation for building, the soil underneath can subside away from the slab, leaving vulnerable holes and voids, a process is otherwise known as soil subsidence. This allows for common termite entry points as they are often around pipes. Normal injection of a liquid Termiticide cannot treat the whole cavity. 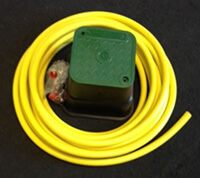 All hoses are then terminated at specially marked junction boxes at convenient locations for the introduction of the liquid termiticide. For existing homes or buildings, Best Termites Control provides Term Stop termite protective system with minimal disruption to soil and negates the need to drill through feature pavers, liquid limestone, or … . 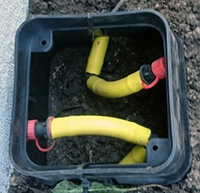 The Term Stop is buried around the total perimeter of a dwelling and the unique “wrap around” nature of the piping means that vulnerable points such as downpipes can receive concentrated applications of the termiticide. Once installed, an impenetrable barrier is created for termites and future inspections and replenishment of the system is easy. Best Termites Control technicians design and implement a plan that will adequately protect the home or building structure from termite invasion. Note that with any termite reticulation system, it is essential to have an annual inspection done by Best Termites Control technicians as this will ensure the continuation of all warranties. Please read this article about Term Stop Reticulation System for Termites Protection in Melbourne. For more information about effective termite protection solutions using Reticulation Systems, please contact Best Termites Control.